Newspapers are a wonderful resource to learn more about families, individuals or businesses in a family hometown. The are several fee subscription databases for newspapers available, but there is also the Free Google Newspaper Archives. If you have not attempted to use it, give it a try for sure. Even if it has been awhile since you did a search using Google Newspapers, go back because additional vintage newspapers are being added. On the homepage you see in alphabetical order the various newspapers with the dates covered. It doesn’t mean that newspapers were only printed those dates, but rather those issues for those dates have been made digital and online. Do not look by a state’s name but rather a county or town name. Even then there are other newspaper names. For example, there is the ‘Free Daily Press‘ of Easton, PA covering Jan. 1, 1884 to Nov. 1884 with 282 issues. So if Easton is a hometown on your family tree and family was there in 1884, that is a newspaper for you. Then there is the ‘Telegraph’, you have no idea where it was printed. Well, this is for Nashua, N. H. and covers 1860s to 1994, some 23,000 issues – now that is impressive. You can use the ‘search archive’ for a specific location or surname. Of course with a surname, that will be all the newspapers, you do need to narrow to a location. Remember many newspapers cover about the news in neighboring towns and counties. A Daytona Beach newspaper will have articles relating towns and counties miles south, west and north of Daytona. So always look in other locations. Many of the Google newspapers cover dates in the mid-to-late 1800s, just the type of papers and its information that would be hard to find. There are even a few for Canada and other counties overseas or in the Western Hemisphere. Those from other countries would be in that native language. Still a good variety. Images finding some details on a family business using their advertisement in a newspaper or an article about a family member, written during the times. 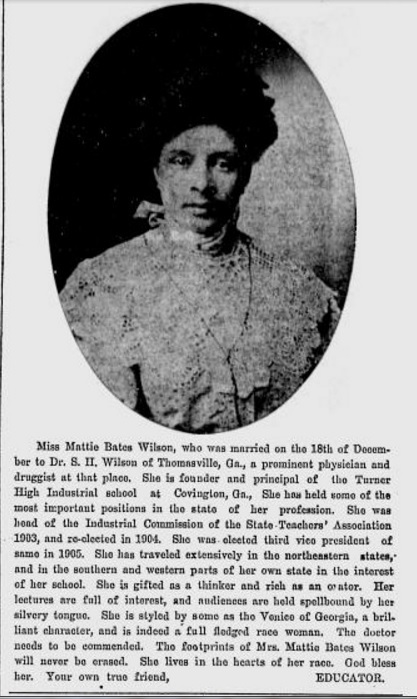 The one illustrated of Mattie Wilson in 1908 is an excellent example of the details to be learned about her. 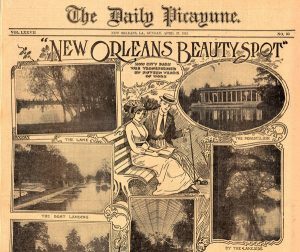 Photo: Jan. 4, 1908-Mattie Wilson in Georgia; 1913 feature section on “beauty spots” around New Orleans’ City Park from ‘The Daily Picayune’.